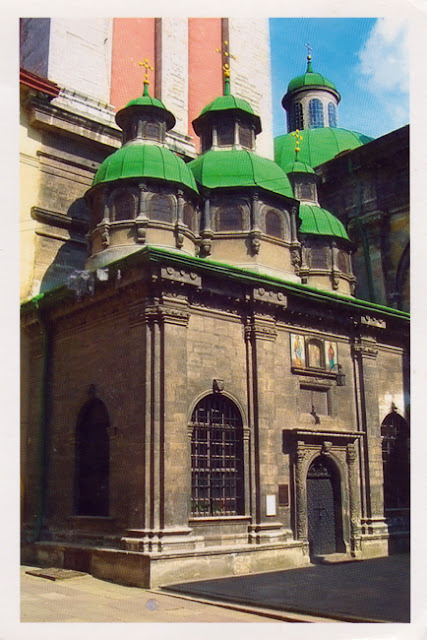 The Church of Transfiguration in Lviv, located in the city's Old Town, just north of the market square. aaahhh what a cutie! I've always been crazy about Koalas! 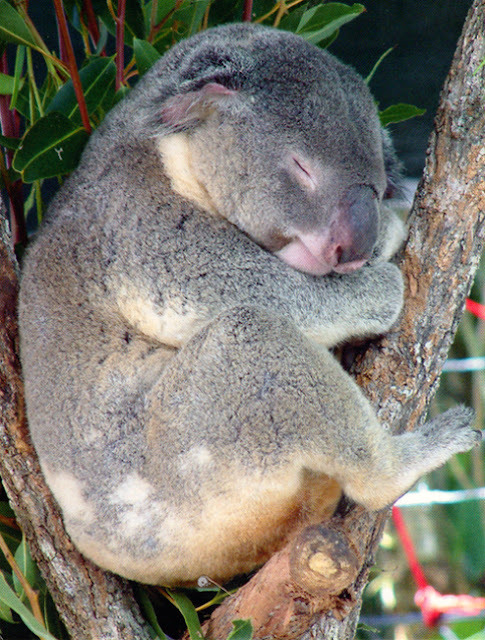 In the wild, koalas are found exclusively in the large eucalyptus forests of eastern Australia, where they spend almost their entire lives in trees. Thanks a lot for this extra card Sharon! I normally only collect cards sent from country of origin but I made an exception for this special card. This card was sent to me from Australia but Saint Helena is an island of volcanic origin in the South Atlantic Ocean, Africa. 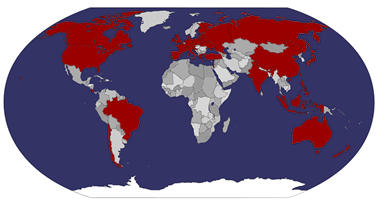 It is part of the British overseas territory of Saint Helena, Ascension and Tristan da Cunha. The card shows Jacob's Ladder,built to transport materials to and from town via a system of carts on rails. 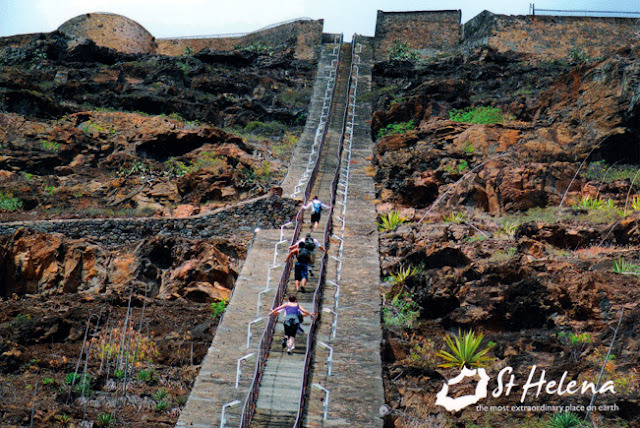 It is now a short-cut from Jamestown to Ladder Hill for those who are fit enough to climb the 699 steps. Thanks a lot for the swap Sharon! 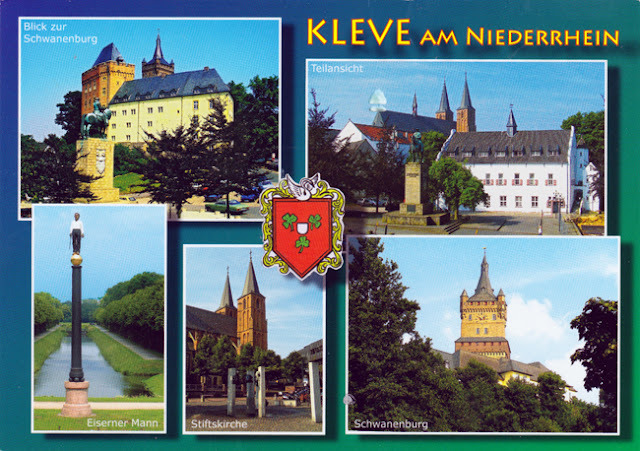 A card with views from from Cleves, a town in the Lower Rhine region of northwestern Germany near the Dutch border and the River Rhine. Built in the 11th century, Schwanenburg Castle is symbolic of the town of Cleves. Sitting on a hilltop, it dominates the town. The view from the top of the Swan Tower looks out over the Netherlands, a short distance to the west. The castle currently plays host to a geological museum. The Marble Boat, also known as the Boat of Purity and Ease (Qing Yan Fǎng) is a lakeside pavilion on the grounds of the Summer Palace in Beijing, China. The Summer Palace (Gardens of Nurtured Harmony) is a palace in Beijing, China mainly dominated by Longevity Hill and the Kunming Lake. It covers an expanse of 2.9 square kilometers, three quarters of which is water. 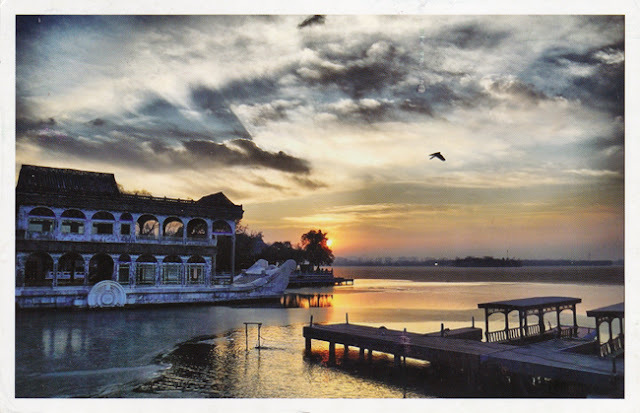 UNESCO included the Summer Palace on its World Heritage List in 1998. It declared the Summer Palace "a masterpiece of Chinese landscape garden design". The natural landscape of hills and open water is combined with artificial features such as pavilions, halls, palaces, temples and bridges to form a harmonious ensemble of outstanding aesthetic value." It is a popular tourist destination but also serves as a recreational park. Thanks to Edwiny for this amazing and interesting card!